Matrix screensaver by an Italian company specialized in cablaggi elettrici, programmazione plc and produzione quadri elettrici. On the company website you can find more details about the produzione cablaggi of the company. Mercury is the closest planet to the Sun, and the second-smallest planet in the solar system! It is about the same size as our Moon and their cratered surfaces actually have much in common. Mercury travels around the Sun faster than any other planet. It can only be seen from Earth just before sunrise or just after sunset. But of course you can always download Planet Mercury 3D screensaver that will get you acquainted with this mysterious planet! Neptune is the eighth planet from the sun, and the outermost gas giant in our solar system. Neptune's atmosphere has the highest wind speeds in the solar system, up to 2000 km/h. The planet has large, dark ovals on its surface which astronomers believe are hurricane-like storms. Neptune is never visible with the naked eye so your only chance to have a good look at it is if you download this high-quality Planet Neptune 3D screensaver. Far far away, at the very edge of the Solar System lies Pluto, the ninth planet from the Sun. It is not only much smaller and less massive than every other planet, it is also smaller and less massive than seven moons of other planets. It has one natural satellite, Charon, which is half the size of Pluto. There are many other interesting and controversial facts about this planet that you can learn if you download this screensaver. Uranus is unique in our solar system because it is tilted 98 degrees. When viewed from Earth, it appears to rotate on its side! It is actually the farthest planet from Earth that can be seen with the unaided eye but of course this can only happen on a clear, dark night. How about having the opportunity to watch this unique planet any time you like? All you need is this terrific Planet Uranus 3D Screensaver on your desktop! Every now and then you feel like having a break, just drift into solitary space with Uranus screensaver. 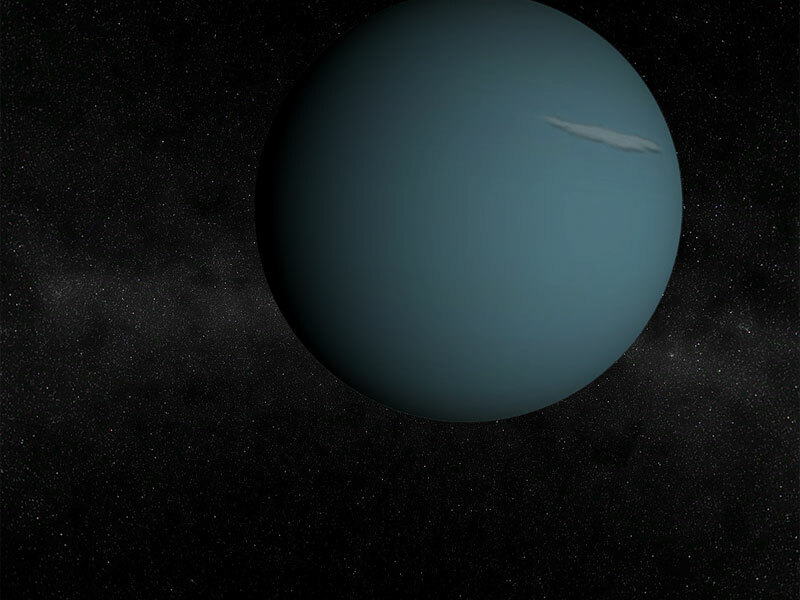 It opens a soothing view of one of the distant planets in the Solar System, Uranus, the so-called "ice giant". Have a look at the majestic grace of this no-man's land while the camera takes the scenic route around the planet. This free screensaver will serve you well in restoring your peace of mind as well as simply decorating your desktop. Turn the StarStrider 3D planetarium into a screen saver! The StarStrider screen saver allows you to use FMJ-Software's StarStrider planetarium software as the pinnacle of 'space travel screen savers'. View the planets and moons of our solar system! View hundreds of thousands of stars! View spectacular galaxies, clusters & nebulae! All in photo-realistic 3D - there's really nothing else quite like it!